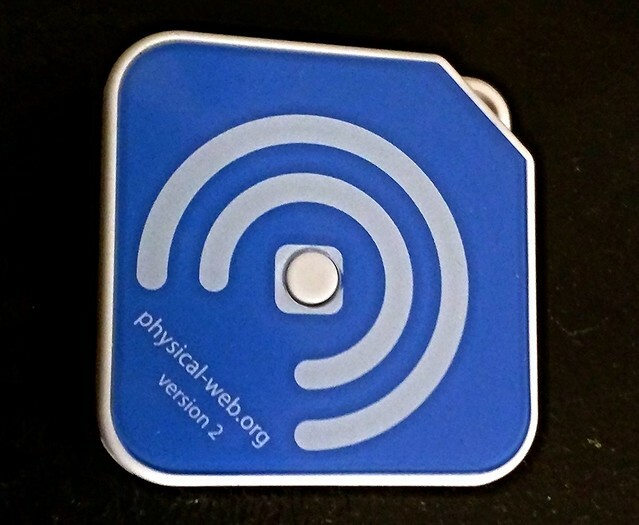 I had a chance to get an EddyStone / Physical Web beacon and play with it. It's one of the devices from the Physical Web project. The Physical Web project is an experimental project started at Google but an open project for all. They are planning to enable people to walk up to any smart device - a vending machine, a poster, a toy, a bus stop, a rental car - and not have to download each and every application, but interact with them with just a tap. So, how do we actually use it? Step2: Open the app on your Android phone, select "edit URLs"
Honestly, I didn't think it's so easy! Then, you can of course have some more fun with it. I saw demos of beacon + parking meter and payment, beacon at restaurant use case (instead of the hardware that you take when you are waiting for the queue at the restaurant, your Android phone will be a replacement), etc.